I'm very excited have had my work with Oscar James Grace featured on the blog critiquemydickpic ! We got an A! I recently had the pleasure of doing a shoot with the lovely and talented model Oscar James Grace. They made the trek out to my studio from Toronto and did a fantastic job of getting into the concept. Enjoy! 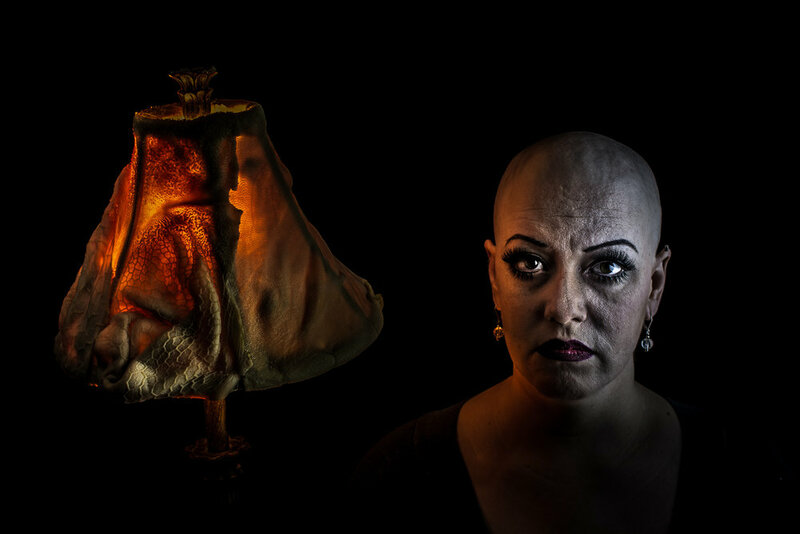 Sarah, the model whom you might remember from my last portraiture shoot, has been fighting uterine cancer since well before I met her. She's been out of work for some time, her partner is currently between jobs, and they've set up a Go Fund Me campaign to try and make ends meet during this difficult time. She's an awesome person and a talented model and if anybody out there can spare some cash to help her out that would be hella awesome. Go HERE to help Sarah out, every little bit helps. I recently had the pleasure of working with Jessicka, a very talented model based out of Hamilton. Jessicka has a great look, was terrifically fun to work with, and was super open minded about getting into the gore on set. The images above are probably my favourites from the shoot. 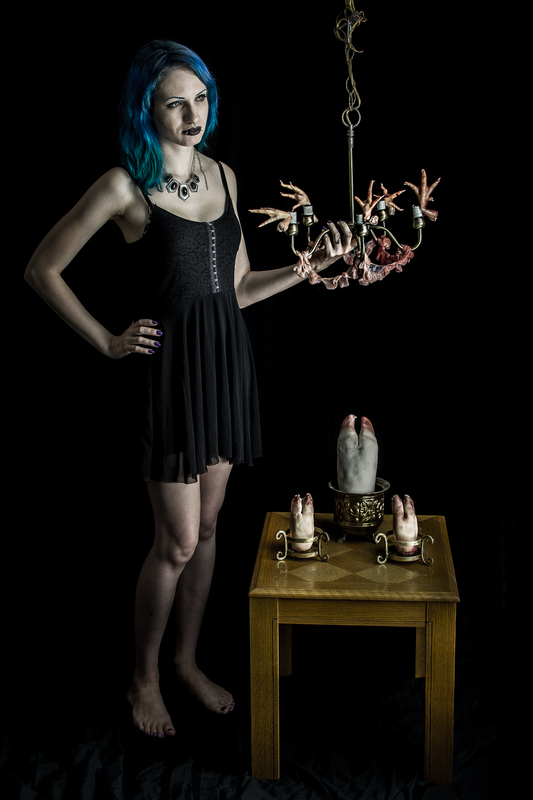 You can see lots more shots of Jessicka playing around with dead stuff on my Accord page. I recently had the pleasure of working with Hamilton based alt model Laura Dynamite. Laura is very talented, has a look that goes perfectly with my visual aesthetic, and was delightfully willing to get into the concept. The images above are some of my favourites from the shoot, there are lots more to peruse in my Accord gallery. 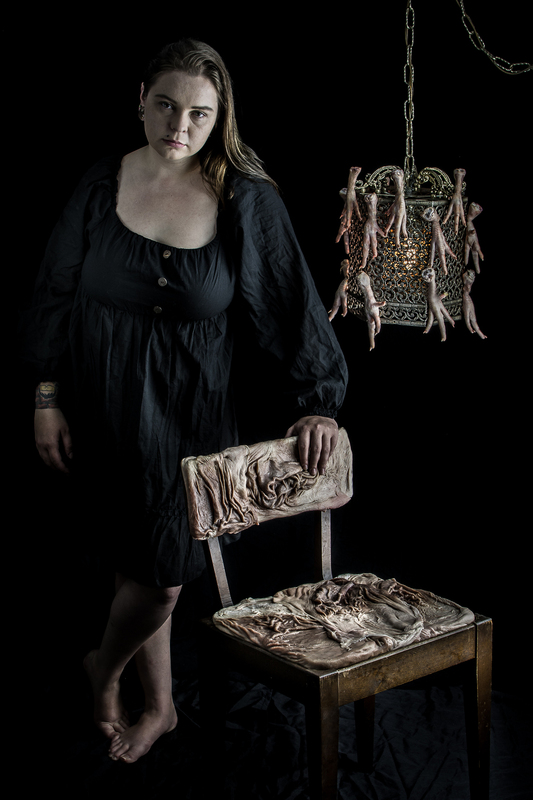 Glodeane was lots of fun to work with and a great sport about getting up close and personal with all the nasty things in my studio, especially since the goat stomach lampshade hadn't been properly refrigerated and was getting ripe by the end of the shoot. I've put a handful of my favourite captures from the shoot above. There are lots more images, which you can peruse in my Accord gallery.